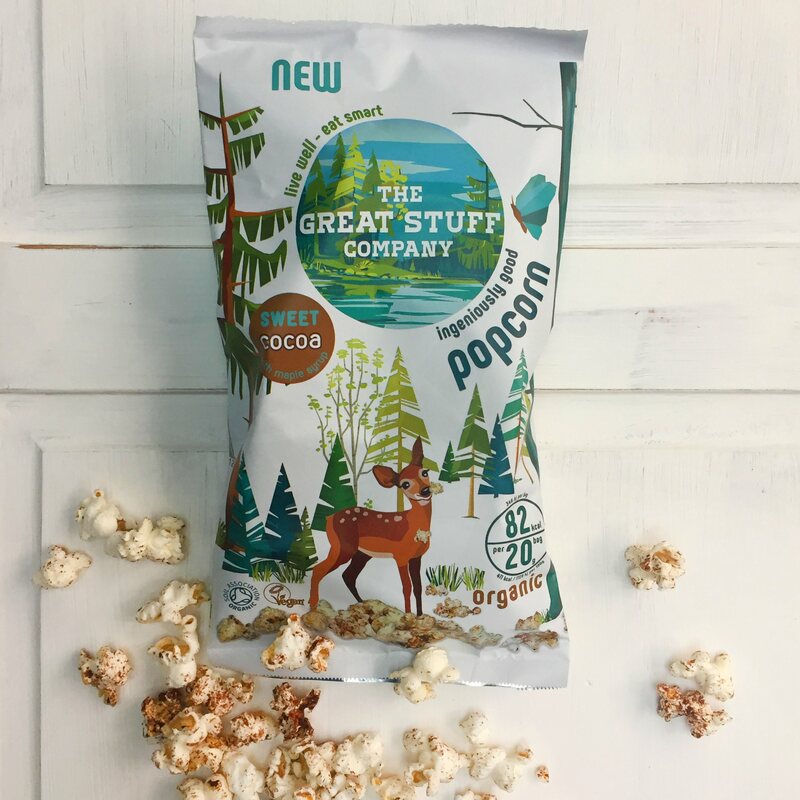 Wouldn’t it be wonderful if popcorn was not only delicious, crunchy and sweet but also reduced in fat, made with virgin oils and no refined sugars? What if there was popcorn which wouldn’t leave your fingers sticky, greasy or dusty and which you could enjoy when and where you want? 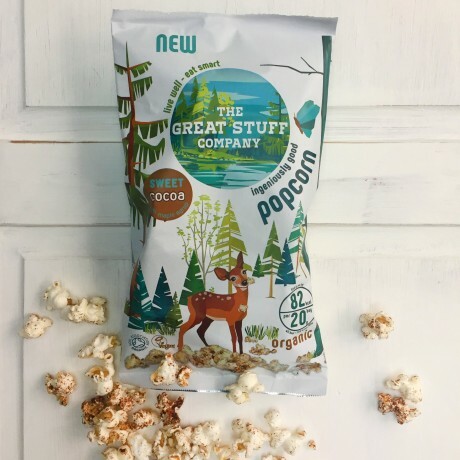 Affordable popcorn made of finest ingredients grown under organic standards, minimising the use of artificial pesticides and fertilisers? 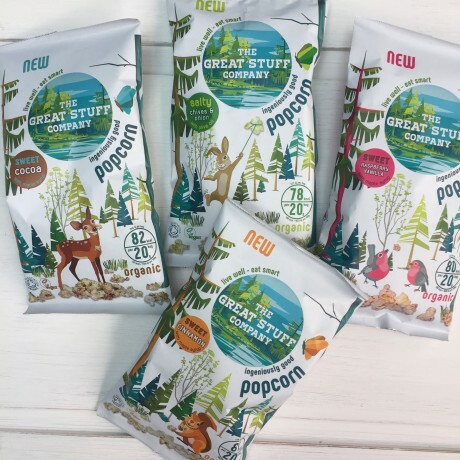 Popcorn which would not only be better for you but also shows respect and for animals and the environment? 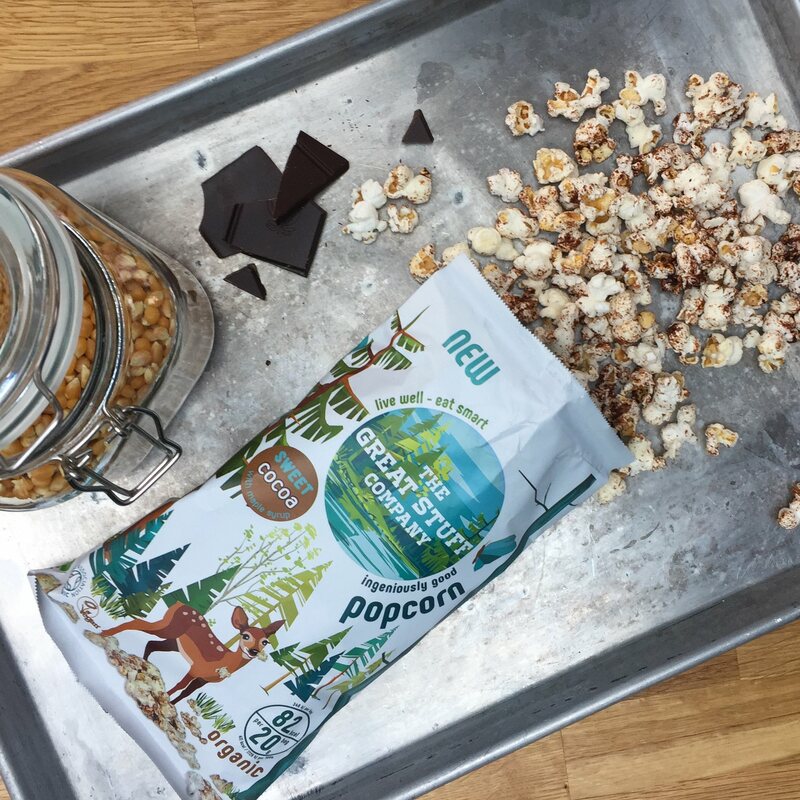 Look no further - your popcorn adventure starts here! THE GREAT STUFF COMPANY POPCORN is the perfect light, guilt-free snack. Only unrefined virgin oils are used and no refined sugars or artificial sweeteners are added. All ingredients are chosen carefully to have the most beneficial possible properties for overall well-being. Registered with Soil Association and the Vegan Society, Gluten Free and 100% natural. Box of 20 x 20g bags. Fabulous gift ! Perfect for those relaxing moments to indulge yourself or share with loved ones. Such a variety. 5 star rating from myself and family. A lovely Christmas gift from my son, it is almost finished, everything has been delicious. So good to have so many healthy treats. Would definitely buy more from this company, attractive presentation too. Delicious snack food which is gluten-free, vegan & organic, perfect for fueling an active lifestyle.